The Indianapolis Colts open their 53rd National Football League season, their 22nd in Indianapolis and their fourth under Head Coach Tony Dungy on Sunday, September 11, when they visit the Baltimore Ravens. Kickoff for the contest that christens the 2005 National Football League regular season for both clubs. 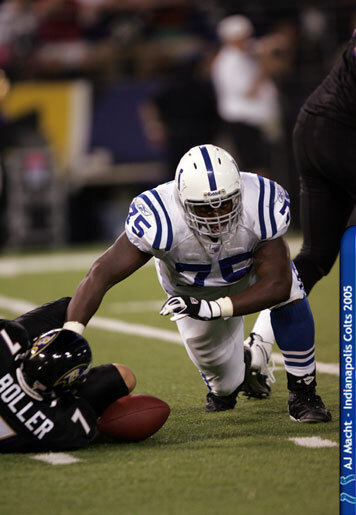 These teams last met on December 19, 2004 in Indianapolis, as the Colts posted a 20-10 win. The Colts lead the series, 3-2, and Indianapolis has won the last two outings. Indianapolis has won five of its last six season-openers. The night began with such promise for the Baltimore Ravens, with a record crowd of 70,501 crammed into M&T Bank Stadium ready to yell and scream at the Indianapolis Colts, the team that once spurned the city. The Ravens' defense - clad in all-black uniforms - was ready to face the Colts' offense, a matchup of two of the best units in the NFL. The Indianapolis Colts won a game on the strength of their defense. The Colts defense was actually on the rise last year in 2004 around the end of the season with Freeney making record sacks. 2004, Dwight Freeney had a season to remember. The rookie defensive end also had one for the record books. 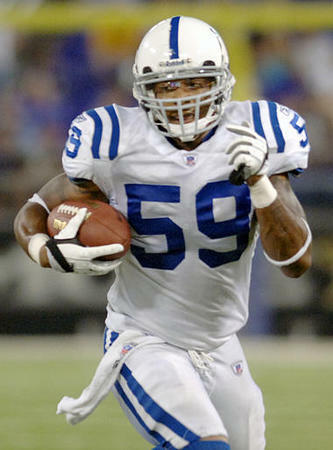 The Colts' first-round draft pick had a season total to 13 sacks that broke Chad Bratzke's club record of 12 set in 1999. It also is the second most sacks turned in by a rookie in NFL history, bettered only by the 14.5 of Tennessee's Jevon Kearse in 1999. The Indianapolis Colts defense is tired of being considered the team's weak link. On Sunday, the Colts set the tone early against Denver with hard hits, pressure, and a stifling run defense that never gave the Broncos a chance to get started. "We wanted to get after them and show them," Brock said. "Now if they want to say we're soft, all they've got to do is look at the tape." 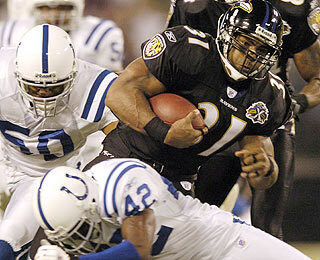 The Colts defense limited Jamal Lewis to 48 yards rushing on 16 carries making the 2003 NFL rushing leader a non-factor in this game. The night was nearly a complete disaster for the Ravens. Their defense, which thrives on pressuring teams into making mistakes, recorded no sacks and forced no turnovers. Their offense didn't score until the final seconds of the game. Ravens faltered whenever they crossed midfield. It didn't help that Stover, usually reliable, had a very off night. Matt Stover, missed three field goal attempts. Stover misfired on attempts from 38, 47, and 45 yards. The first miss would have given the Ravens a 3-0 lead in the first quarter; the second one would have tied the score at 3 early in the second half. Not only did they lose to Indianapolis, 24-7, but they also lost their starting quarterback, Kyle Boller. Boller left the game with five minutes to go in the third quarter after being dragged down by his ankles by defensive tackle Larry Tripplett. He said his right foot got caught under the pile and his big toe was pushed back, resulting in a hyperextended toe. His toe was heavily taped and he was on crutches in the locker room after the game. Boller said he will have a better idea of how long he will be sidelined after an MRI exam on Monday. 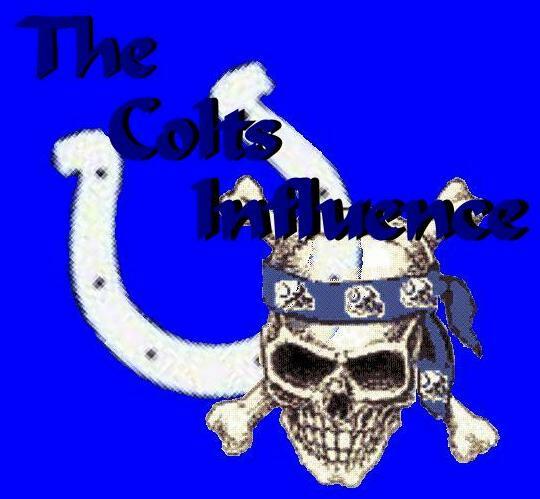 As for The Indianapolis Colts, Mike Vanderjagt converted a 20-yard field goal attempt to give the Colts a 3-0 lead in the second quarter. The Colts scored two touchdowns in a four-minute span in the third quarter to break open the game. Ravens Cornerback Dale Carter was whistled for an illegal hands to the face penalty, which resulted in a five-yard pickup and an automatic first down for The Indianapolis Colts. That kept the drive alive, and five plays later, Manning lofted a pass to Harrison, just over the outstretched arms of cornerback McAlister for a 28-yard touchdown. Indianapolis led 10-0 with 8:43 left in the third quarter. It was the 83rd time Manning and Harrison have hooked up for a touchdown, two behind Steve Young and Jerry Rice as the most prolific TD duo in NFL history. On their next series, Manning needed only four throws to move the Colts 71 yards into the end zone; the final one was a 26-yard touchdown pass to second-year tight end Ben Utecht. 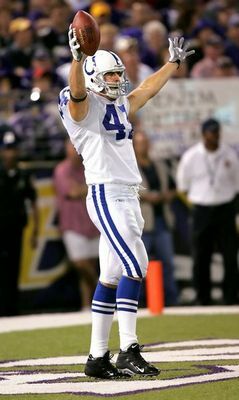 It was Utecht's first NFL catch, and it gave the Colts a 17-0 lead with 5 minutes 8 seconds left in the third quarter. Ben Utecht celebrates his first TD. He spent last season on the physically unable to perform list with an injury. Manning went 21-for-36 for 254 yards and no interceptions, and Marvin Harrison had six catches for 69 yards. The Ravens lost quarterback Kyle Boller, who hyperextended a right toe while being sacked by Larry Triplett in the third quarter with Baltimore trailing 17-0. Boller finished 15-for-23 for 141 yards and an interception. By the middle of the fourth quarter, many of the 70,501 in attendance - the largest crowd ever to watch a football game in Baltimore - headed for the exits. Cato June returned an interception 30 yards for a touchdown with 2:39 left. Colts coach Tony Dungy got a little irritated at the Ravens for calling back-to-back timeouts while he was trying to run out the clock on an apparent 24-0 victory, so he instructed Peyton Manning to take one more shot at the end zone. The incomplete pass stopped the clock and preserved just enough time for the Ravens to drive for a face-saving touchdown.